Fetuin-A (FetA), which impairs insulin action is considered classically as a hepatokine. In patients with Metabolic Syndrome without the confounding of diabetes or cardiovascular diseases, we showed significant increases in both circulating and subcutaneous adipose tissue secreted Fet-A. Furthermore we showed in mice models increase mRNA and protein following a high fat diet and in a model of metabolic syndrome. This work was recently confirmed by another group of investigators. Hence we propose that Fet-A be considered also as an adipokine. Fetuin-A (Fet-A) also known as alpha-2-Heremans-Schmid glycoprotein is a 64 kDa glycoprotein that is classically considered as a hepatokine which impairs insulin action by inhibiting the auto-phosphorylation of insulin receptor tyrosine kinase [1, 2]. Fet-A levels are elevated in obesity, type2 diabetes mellitus and fatty liver disease [1, 2]. Fet-A promotes both insulin resistance and inflammation. 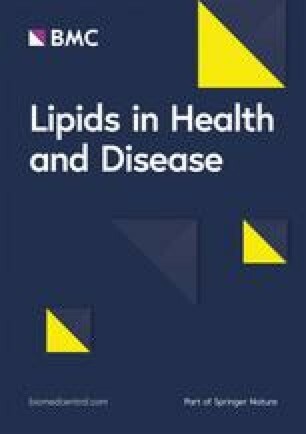 Previously in patients with Metabolic Syndrome (MetS) without the confounding of type 2 diabetes or cardiovascular disease we have documented increased circulating and subcutaneous adipose tissue (SAT) secretion of Fetuin -A (Fet-A) which is classically considered as an hepatokine [3, 4]. The increase in SAT secreted Fet-A correlated with both plasma triglycerides and Homeostatic Model Assessment of Insulin Resistance. Because of a lack of sufficient human SAT biopsy sample, we investigated the expression (mRNA) and protein abundance of Fet-A in mice . Compared to chow feeding, a high fat diet induced both mRNA and protein of Fet-A significantly in these mice. We also confirmed increase mRNA and protein for Fet-A in a mouse model of MetS, the ob/ob mice . Furthermore, using the 3 T3-L1 adipocytes we showed that following differentiation over 13 days abundant expression (mRNA) of Fet-A. Hence, we concluded from these studies that Fet-A be defined as both an Adipokine and Hepatokine. Recently Perez-Stolo et al. using Sprague-Dawley rats confirmed our data of increase expression and protein in AT, with more pronounced expression in visceral fat depots. They also showed that AT Fet-A could be modulated by diet and exercise and confirmed increase expression and protein in human AT from 4 donors. Khadir et al. recently reported an increase in Fet-A in SAT of obese diabetic patients but not in circulating levels . Since these patients were diabetic on multiple medications this could be a possible explanation for their failure to see increased plasma levels as they point out. This is a puzzling observation suggesting that SAT is the predominant source for functional Fet-A secretion and not the liver although we are not provided with correlations between SAT Fet-A and relevant biomarkers e.g. insulin, HbA1C etc. although SAT Fet-A was significantly increased and not plasma Fet-A. These correlations would have been most instructive. They also show that physical exercise decreased both plasma and SAT Fet-A levels in obese diabetic patients. Without providing data they state that Fet-A transcripts were not detected in SAT. However, they identified a band/transcript in 3 T3-L1 adipocytes. It is unclear, unlike most other groups, why they did not allow the adipocytes to differentiate for up to 14 days but only 8 days [3, 5]. However they should be commended in emphasizing the importance of the culture media as substrate for Fet-A especially fetal bovine serum. Finally, they present us with a schema suggesting that AT is a mere reservoir. Given our concerns and the cogent data from 2 independent laboratories [3, 5] we humbly submit that their proposed model while based on their study is premature and posit that Fet-A be considered also as an adipokine unless refuted by other investigators. Gene Card further underscores our posit and reports transcripts in both human subcutaneous and visceral adipocytes . However we should credit Khadir et al. for the incremental advance for elegantly demonstrating increased adipose tissue Fet-A using confocal immunofluorescence and its decrease with exercise in obese-diabetic Kuwaiti patients. We acknowledge the co-authors of our original study in Atherosclerosis 2015. There is no funding for this communication. This is available from Professor Jialal. Both authors researched, reviewed and approved final submission. This study was approved by the UC Davis IRB. Approval for publication of original data was obtained by consent forms. Gene Card. https://www.genecards.org/cgi-bin/carddisp.pl?gene=AHSG&keywords=ahsg. Accessed Jan 2019.